Decide where the grommet is going to be placed, we placed ours about 1cm below the top grate screws so the grommet did not interfere with the grate. Drill a pilot hole with the 2mm bit, the grommet is 3/4" about 9.2mm, we didn't have a 9mm steel bit so went with a 10mm bit, its a little loose, but once fitted with the collar it doesn't move. After drilling, paint the hole with black enamel paint and leave till dry (about 4hours), this will prevent corrosion. Fit the collar, and boom you are done. 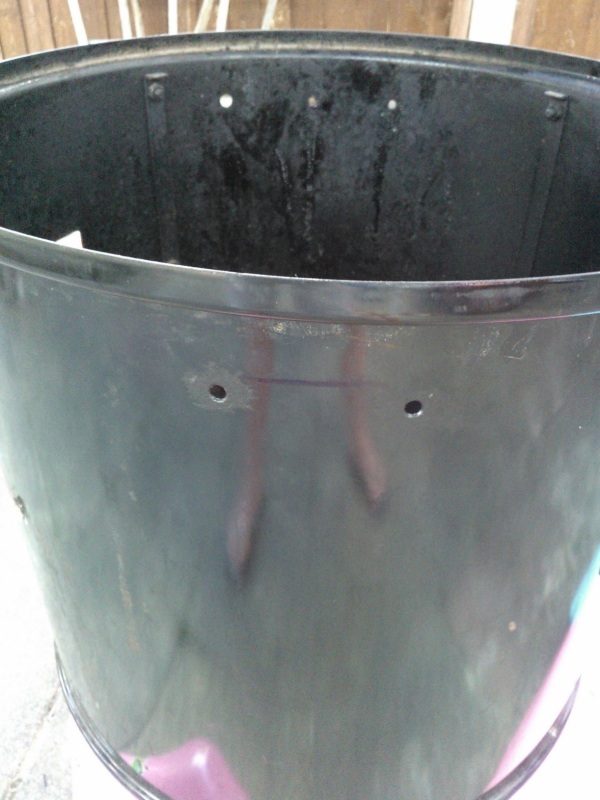 This was alot easier than I expected, we decided to place the handles about 3-4cm from the top lip of the WSM Stack. The ProQ Oem handles have a lip that only allows the handles to move to 90°, but on others, you will need to make sure that the handle will not rotate and squeeze your fingers against the top lip. 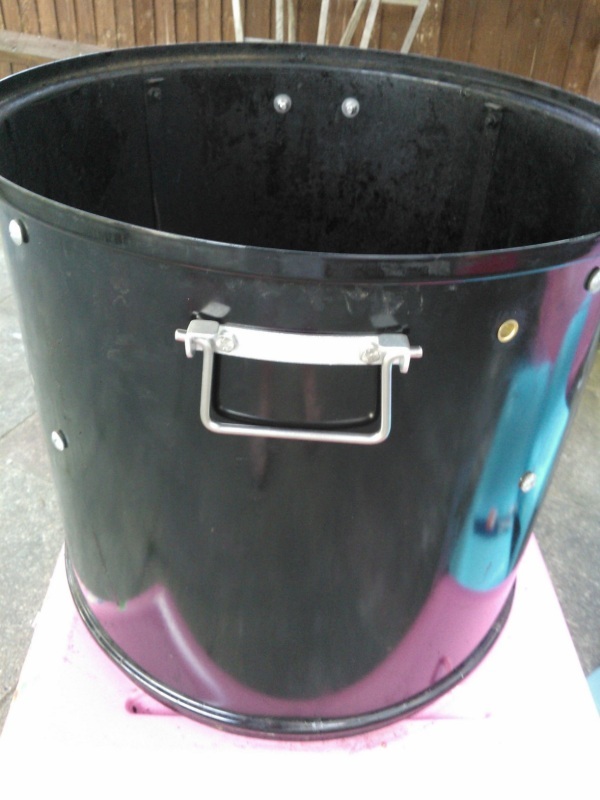 We place the handles at about 90° to the front of the unit. 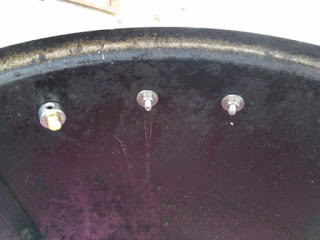 Use a marker with the handles to mark the pilot holes and check that its level. Use the 2mm drill bit to drill the pilot holes, then use the ceramic/enamel drill bit to drill the holes for the bolts. We used oil on the bit whilst drilling to prevent heat and ripping of the enamel coating. 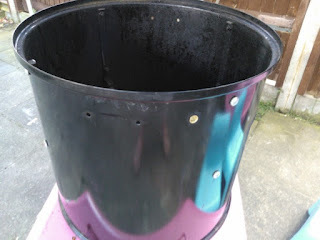 Once the holes are drilled, paint with black enamel paint and wait for it to dry. 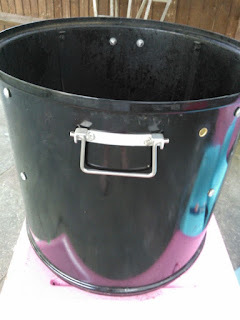 Fit the handles with a washer to prevent it from loosening up. Result Easier to carry the weber and I can finally get my ET-732 probes into the unit with no effort.